The role of the sensor is to detect the level of illuminance and adjust the output of the lighting system accordingly to reach a preset level. By their nature the light sources are losing their luminous flux during their lifetime, a fact which can be remedied by increasing the total luminous flux in a given space. The lighting system has to be designed for the use of the sensor from the very beginning. The most important part is to provide extra capacity for later increase of the illuminance, when the light sources start wearing out. The keynote is to keep constant illuminance in a given area regardless of the state of the luminaires. The role of the sensor is to detect the level of illuminance and adjust the output of the lighting system accordingly to reach a preset level. By their nature the light sources are losing their luminous flux during their lifetime, a fact which can be remedied by increasing the total luminous flux in a given space. 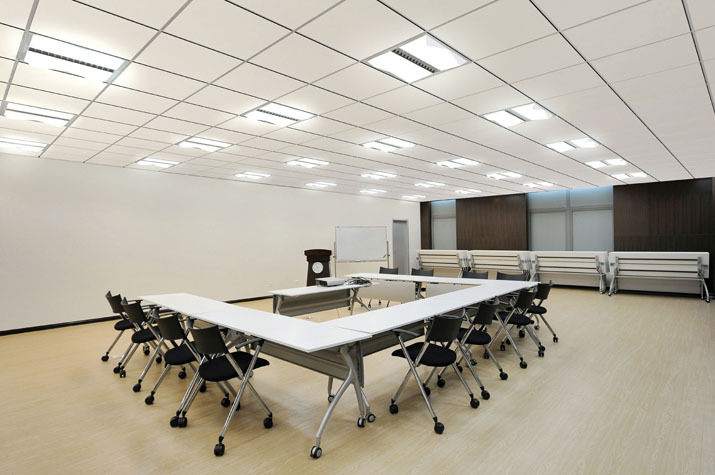 The illuminance can also be adversely affected by luminaires or their diffusors getting dirty or obstructed. The role of the sensor is to provide the optimum level of comfort and for this the lighting system has to be designed for its use from the very beginning. The most important part is to provide extra capacity for later increase of the illuminance, when the light sources start wearing out. Simply put, the system should be designed to provide higher illuminance than necessary. While it may look wasteful to use more or stronger light sources than required, the efficiency stems from the fact that they are not working at full capacity most of their lifespan, thus consuming less energy. This design also allows for failures of individual light sources without diminishing the lighting comfort of an area. Constant illuminance sensor is also extremely useful in combination with daylight sensor. It can adjust the artificial lighting to the light coming through the windows, keeping the level of illuminance constant during the day. This can be important for working with computers for example, to reduce screen glare and other unwanted effects such as insufficient lighting conditions. Both can cause eye strain and can lead to poorer performance and possible health problems. Similar to infra-red presence sensors the placement of constant illuminance sensor is of utmost importance: it has to be free from reflections or strong direct light sources which can adversely affect its readings and functioning. When necessary, several sensors can be used over a single area. Their individual data can drive independent parts of a lighting system. Alternatively, the system can use an average of their readings to achieve optimum output and performance. In a well-designed system the combination of different sensors can adapt to any daylight condition without compromising illumination quality and comfort of the workers, clients or inhabitants. Moreover, such set-up is a great saver of energy and lifespan of the artificial lighting, as it aims to use the natural daylight to its fullest. The composition of sunlight is natural for humans, further increasing their comfort levels when it is harnessed instead of replacing it with artificial lighting. The headroom necessary for correct functioning of the constant illumination sensor depends on the types of light sources used, their number, density and also the kind of environment itself and its lighting requirements.